Stack, store, and transport your pre-cooked or refrigerated foods with this Vollrath 52434 Super Pan V steam table pan lid! 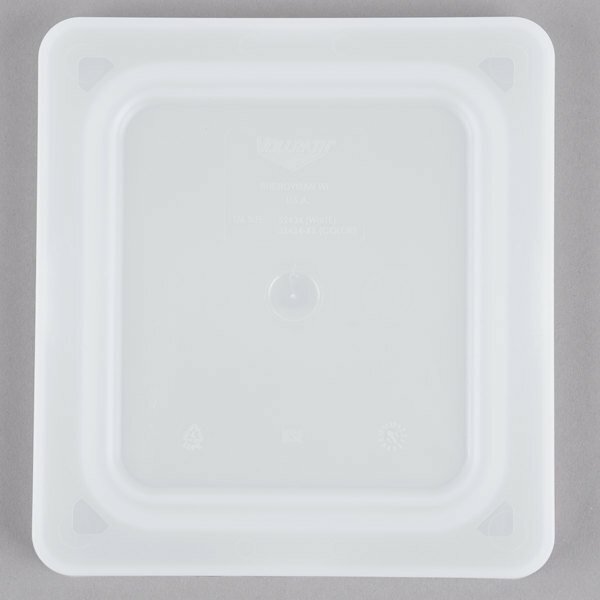 "These lids are awesome for storing cold food items in clean hotel pans! Cuts down on the cost of expensive plastic wrap! Easy to stack with too!!" These fit nicely on top of our bins in the kitchen. We label them for a nice clean look that makes it easier to make cheese and charcuterie plates during busy hours. 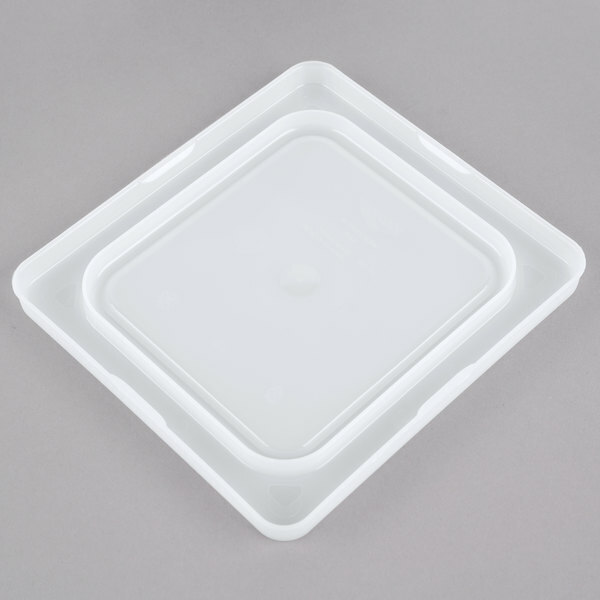 Excellent hotel pan lid for Vollrath pans. It is made of a nice plastic, and clips onto the edges of the food pans. It fits snug, but is not water tight. These snap on nice and tight on our hotel pans. I don't think they handle quite as much heat as they say without warping but they're still useable even so. 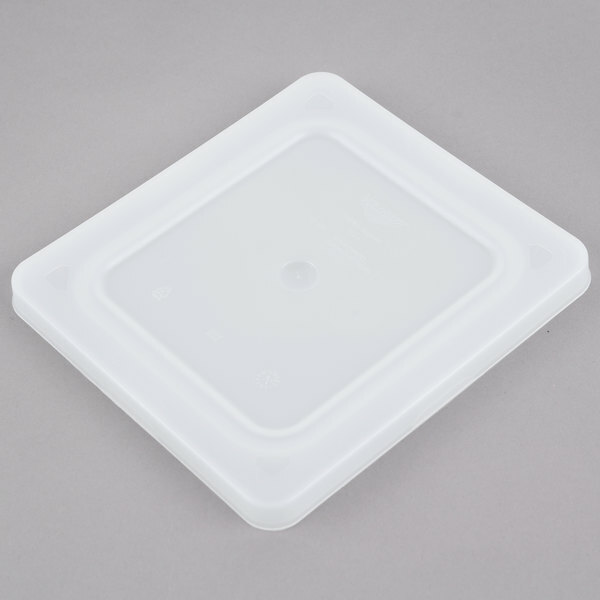 The Vollrath Super Pan V 1/6 Size Flexible Steam Table/ Hotel Pan Lid is an excellent quality lid. It is well made and durable. It is also easy to clean and the price is great. I would purchase this again. I have used these at other locations and I am excited Webstaurant.com carries this line. Helping to preserve our ice creams and sorbets is paramount. With these, freezer burn is staved off and the freshest products are consistently served to awaiting guests. Oh! How I love this cover!! It tightly closed my pan, and I was able to store liquid in it in the refridgerator or freezer, without the worry of leakage. Excellent buy!! 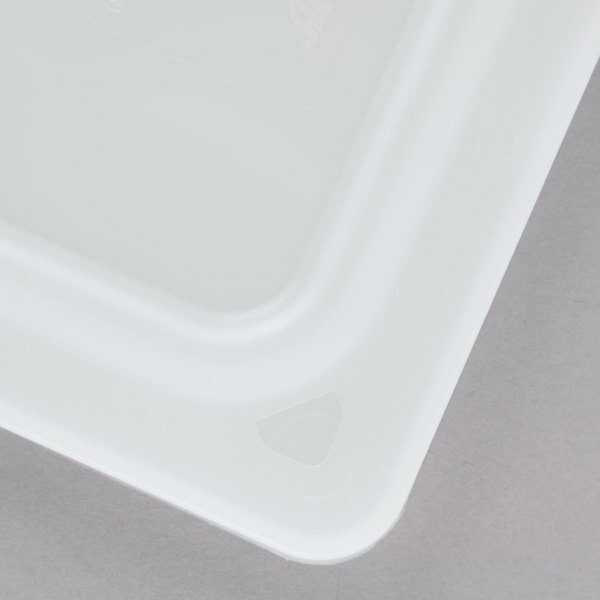 Well made, durable lid for Vollrath Super Pan Steam Table / Hotel Pans. Cut down on the use of plastic wrap with these. It's transluscent, but not clear enough to see what's inside without taking the lid off. The lid snaps on easily, but a little tricky to take off until you get the hang of it. 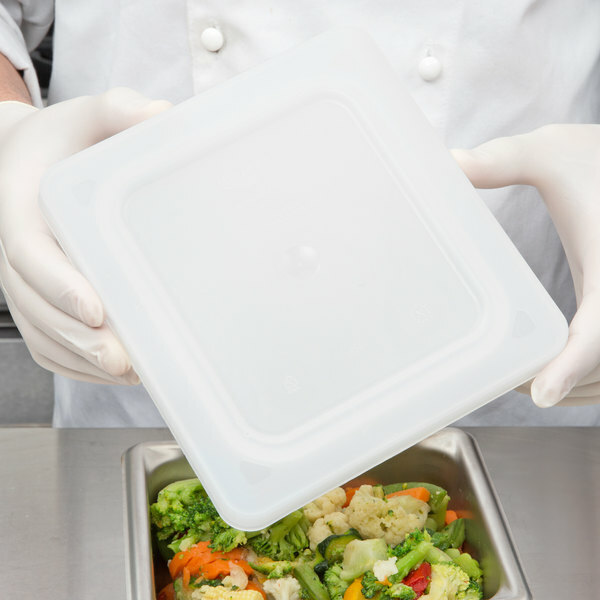 The lid stays on tight and won't pop off if it's tipped or knocked over, but it's not completely air or water right, so be careful if filling with liquids or sauces. Overall, a great product. 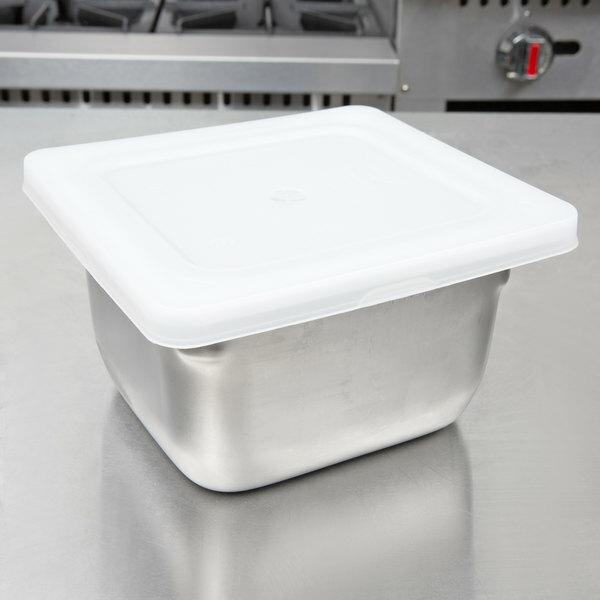 These lids are awesome for storing cold food items in clean hotel pans! Cuts down on the cost of expensive plastic wrap! Easy to stack with too!! I loved this for the salad area, I can get everything ready and cover it with these and know that it is protected and sealed, Thanks for the quality items!! !